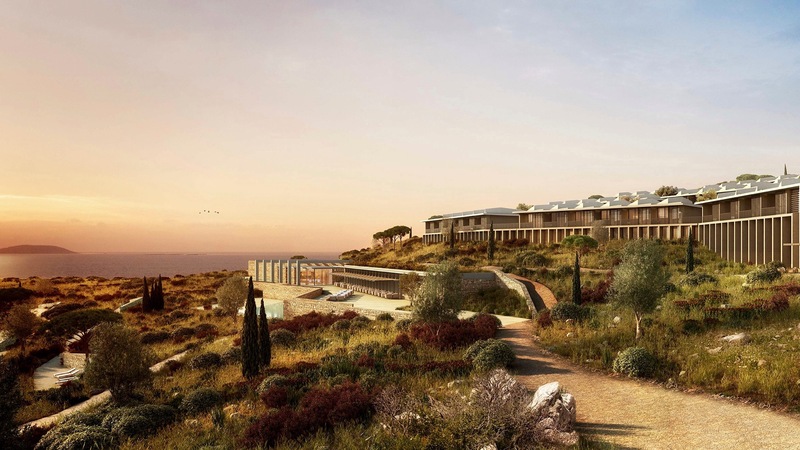 The iconic American spa and wellness brand Canyon Ranch, has announced their first international destination – set on a spectacular peninsula on the sun-kissed Aegean coast in Turkey. The initial phase of the development, which will open in July 2016, will include a strikingly modern resort and luxury real estate offerings. The property will integrate the signature wellness and lifestyle programming that has earned Canyon Ranch a famously loyal clientele worldwide for the past 40 years. Canyon Ranch Wellness Resort at Kaplankaya will have a total of 141 rooms – 75 hotel rooms and suites as well as 66 exquisite enclave rooms and suites, all of which will have views of the sea. Guests will have exclusive access to the 107,500 sq.ft., or 10,000 square meter, Canyon Ranch Spa, Fitness and Wellness Center. The oasis will feature 40 treatment rooms where guests will be able to enjoy rejuvenating treatments combining traditional and Eastern medicine practices for the complete integrative wellness experience Canyon Ranch is known for. The resort will also include two restaurants, one in the hotel and another more casual option located adjacent to a pool and beach, which will offer a wide array of healthy and flavorful gourmet Mediterranean dishes showcasing the best local ingredients. “We are delighted to have teamed up with Canyon Ranch for the inaugural phase of Kaplankaya. Combining Capital Partners’ experience in developing high end destinations with the world renowned Canyon Ranch program will yield a truly remarkable experience for the guests and residents of Canyon Ranch at Kaplankaya,” says Hasan Arat, Chairman of the Executive Board of Capital Partners. Canyon Ranch offers spa and wellness experiences in Tucson, Arizona, Lenox, Massachusetts, and at The Venetian in Las Vegas, Nevada.